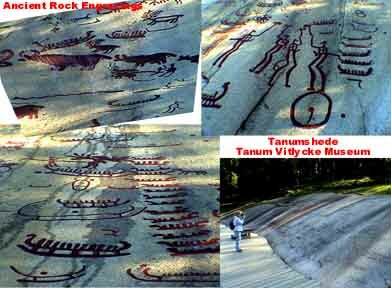 After Marcia drove north 80 miles, we spotted a sign for a special monument in Tanumshede, so we pulled off and drove the 3 miles to the Tanum Vitlycke Museum  which is located in an area that has a lot of ancient stone carvings. We walked all the way over the hills and finally found them. Were we glad we took the time and trouble to stop here. These carvings were incredible and only can be described by looking at them. I hope the pictures do them justice. This is one of the tiny things that make traveling like we do worth while. Marcia drove another 57 miles while I worked on the computer and then I took the wheel to finish the remaining 50 miles to reach Oslo. We crossed the Swedish border into Norway. I was driving my usual autobahn speeds on this very nice freeway doing about 140 kph (90 mph) when a little silver colored sporty car behind me started flashing its headlights. I looked in the rearview and saw a man and a woman in the car. They were casually dressed with no uniforms and the car was unmarked in any way. I ignored them and kept going. They chased me and then I noticed the front bumper open up with two little blue flashing lights and the woman rolls down the window and starts waving at me. I began to worry something was wrong with the back of my car so I started to slow down and veer toward the far right lane. It then became clear that these people were somehow official. I pulled over and stopped and the two got out, asked for my driver's license and then I noticed they had leather belts on with badges. The woman did all the talking and asked if I knew the speed limit was 70 kph (42 mph) on the freeway and that I was so far over the limit that she would take my license and leave it at the Swedish border. I told her I had no idea the limit was that slow and that I was sorry and that I would be leaving Norway at the northern border with Finland. Then the man sternly asked what the device was on the dashboard. I stammered and admitted it was a radar device. “Those are illegal in Norway!” I flung it into the back seat and explained they were legal in the US. After taking some scolding, they finally let me go (with my license). I got my warning. I later found out this country’s extremely strict driving laws (even later, read it in the guidebook). Not only is the maximum limit 50 mph regardless of road but the alcohol limit is 0.2 which is less than a sip of beer and it is a mandatory 12 day jail sentence. Plus they have cameras along the highway that take a flash picture of you if going over speed limit. It’s all computerized so that they catch you when you cross the border. Also its mandatory that you keep your lights on at all times. I’m not fooling around with these folks. 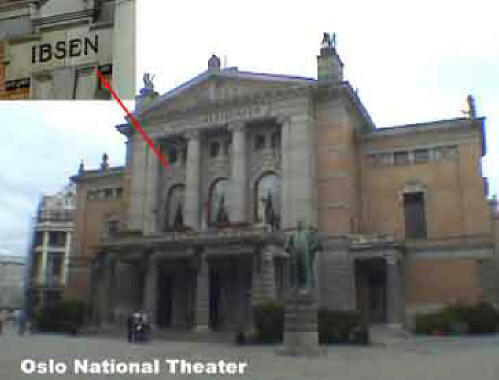 We arrived in Oslo, the capitol of Norway and its largest city at 9 PM on Saturday night. 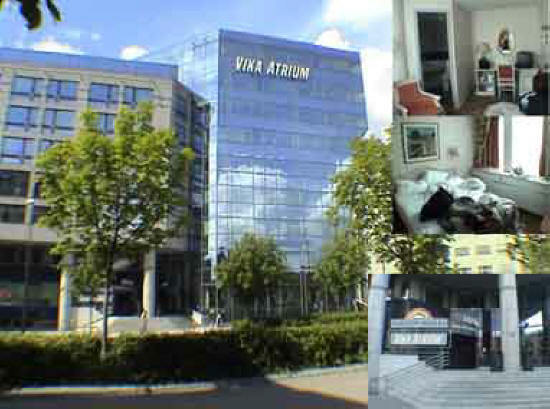 We found the Vika Atrium Hotel [Munkedomsv 45, +47-2-283-3300] and unloaded for a lengthier stay then usual. I was a little frustrated when I found that I would not be able to exchange money to Norwegian Kroners until Monday and parking the car was a major hassle and would be expensive. One of those negative times but I got over it. 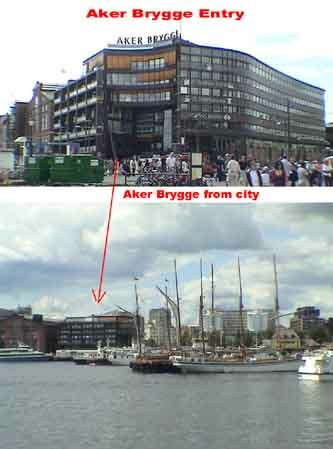 Our hotel is right across from the Aker Brygge [brygge = wharf] which was a huge remodeling of a shipping container area that now houses shopping centers (senteren) and restaurants. It’s quite spectacular. 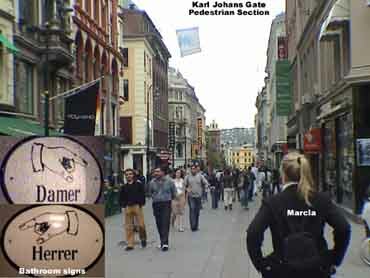 By 9:30 I was running into the main part of the city and discovered the famous street, Karl Johans Gate. 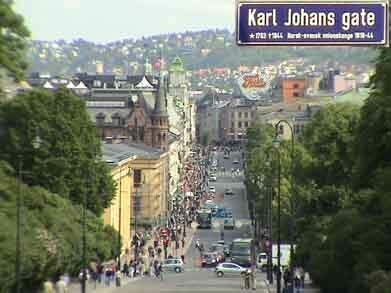 It starts from the Royal Palace on the hill and runs all the way through town, most of it being pedestrian only. On my way back I stopped at a Narvesen (like a 7/11) and bought 2 Norwegian phone cards with numbers for very cheap. I put them in both the phones and we have been using them ever since. 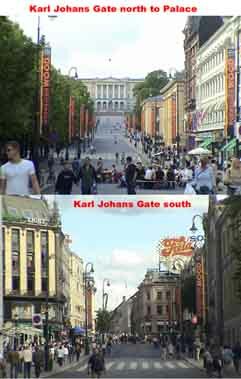 Easy to remember country codes (going north): Denmark 45, Sweden 46, Norway 47. 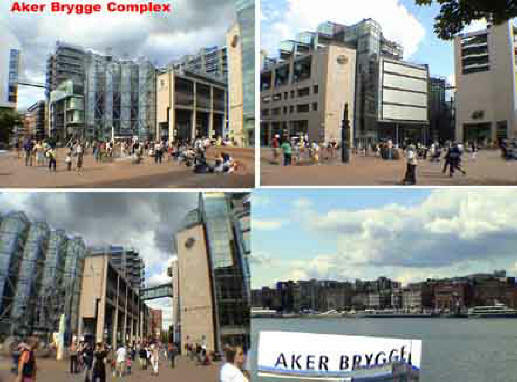 Then Marcia and I explored the Aker Brygge area and finally at 10:45, settled on eating at the outside wharf patio at D/S Louise’s [Stranden 3, +47-22-83-0060]. Marcia had fish soup and Dorado with fries while I had onion soup with a trio of monkfish/sole/salmon with potatoes au gratin. It was all pretty good and I forgot to take photos. After dinner we walked the area some more on a beautiful evening (though chilly) and went into the Rorbua bar  for Irish coffees. But we had to walk back to the hotel in the cold rain without umbrellas and got to bed at 2 AM.